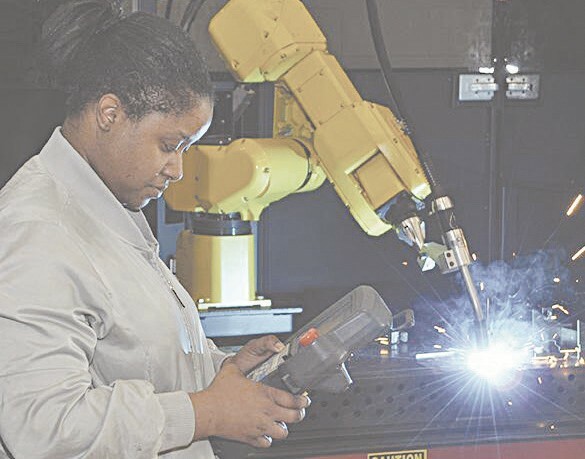 FLINT — Mott Community College (MCC) will join the national celebration of Career and Technical Education (CTE) Month by hosting multiple activities and events, culminating with “Women in Technology Day” Feb. 22. “CTE encompasses 94 percent of high school students and 13 million postsecondary students in the United States and includes high schools, career centers, community and technical colleges, fouryear universities and more,” said Dr. Madonna Jackson, Disadvantaged/LEP Coordinator in the Learning Center at MCC. “CTE is a major part of the solution to myriad national economic and workforce problems, such as high school dropout rates, a weakened economy, global competitiveness and massive layoffs. • February 4-7–Awareness Hubs to let students know what occupational and career fields are available and what types of jobs a Mott degree can lead to. “The activities planned over the month of February will illustrate the rigor and relevance CTE courses offer our students,” said Jackson who works directly with CTE students to help them complete their degree and enter the workforce. “By partnering with the business community, CTE programs are investing in students and providing them with the latest technology and skills that will prepare them to become successful employees and future leaders.” — G.G.